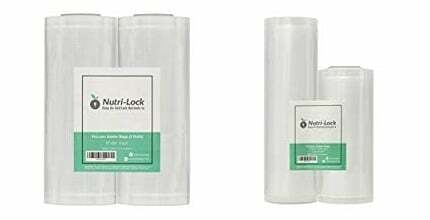 Nutri-Lock Vacuum Sealer Bags were one of the better vacuum sealer bags we looked at scoring 4 out of 5 stars. 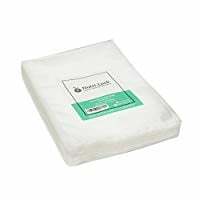 These bags were average from a quality perspective with thickness of 4 Mil (front) 9 Mil (back). 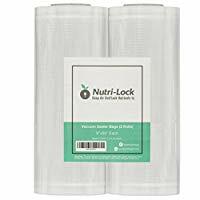 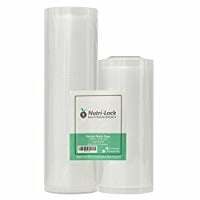 The Nutri-Lock bags were not very economical compared to other brands we looked at they have an average cost of 0.16 per bag for 1 quart sized bags, and 0.57 per square foot for 11" bag rolls. 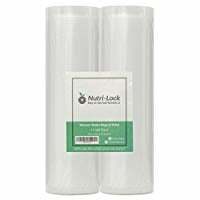 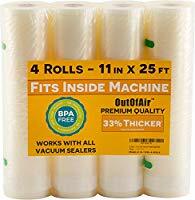 Our top reviewed brand OutOfAir is much cheaper at 0.29 per square foot for 11" bag rolls. 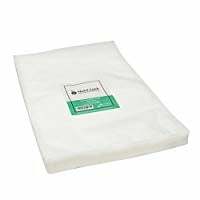 These bags are Universal Vacuum Sealer Bags and are compatible with most brands of vacuum sealers. 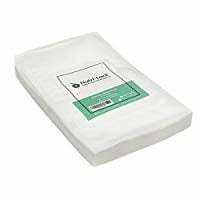 The quality on these bags is average but the pricing is much higher than average, this isn't a great value at all, we suggest you look at OutOfAir or Avid Armor, as both are a much better value for your money.